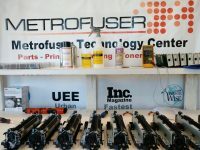 I am the owner at Metrofuser. We distributes laser HP Printer Parts such as printer fusers, printer maintenance kits, and other hp printer replacement parts. We also offer service training for HP, Lexmark and Canon laser printers.